Marine Protected Areas: SDG Catalysts? 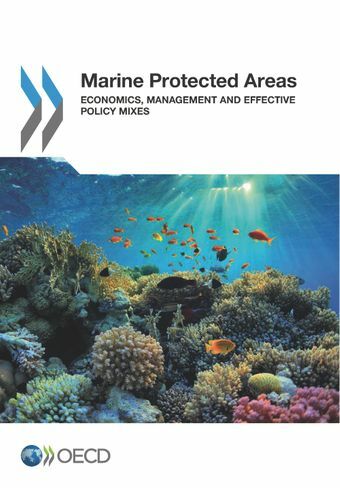 – OECD presentation: Marine Protected Areas: Are they worth it? Marine Protected Areas are key to ensuring better conservation and sustainable use of marine biodiversity and the oceans. The OECD side-event "Delivering on Sustainable Oceans for the SDGs" covered OECD work of the above report; the OECD report on The Ocean Economy in 2030; and the OECD Data on Fisheries Support Estimate. OECD presentation on sustainable finance of marine protected areas at the side event of "Innovative financial mechanisms for long-term biodiversity conservation: Insights from international co-operation experience, co-hosted by IDDRI, GIZ, IUCN-France. Katia Karousakis, OECD expert, presented on MPAs and their role in ecosystem provision, sustainable fisheries and tourism at the UNCTAD/UNEP/CAF side event on Oceans Economy and Ecosystems Services. The side event raised awareness and discussed novel international and regional approaches to address harmful incentives to marine biodiversity and ecosystem conservation and maximise the use of beneficial ones in key sustainable oceans economic sector such as fisheries and tourism, and their interlinkages under an ecosystem approach, for the advancement of SDG14 and Aichi targets.